From restaurant guides to new places to try, here are a few tasty tidbits worth taking note of this month. Entrée Nous, now being introduced for the fourth year, is a popular restaurant guide that combines vivid descriptions of unique and memorable cuisine with a complimentary meal. The 2019 version will be released at the official launch party, to be held at Bespoke Designs at 5A Sconset Square in Westport on Thursday, November 8th, from 6pm to 7:30pm, where copies of the Entrée Nous Fairfield County 2019 book can be purchased. Space is limited so be sure to RSVP to: info@entreenous.net. 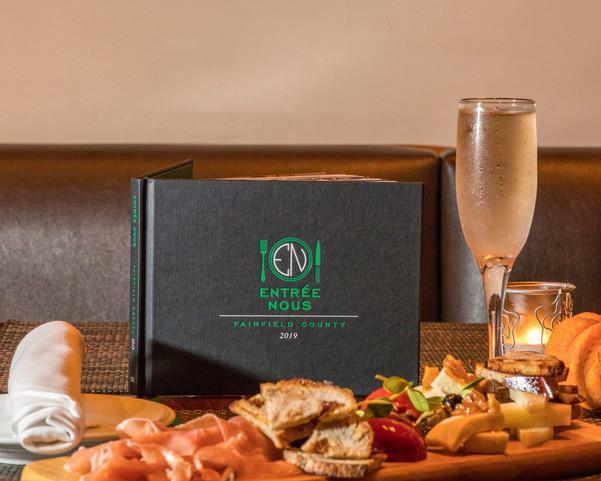 Entrée Nous is a French phrase that means “between us,” and the guide encourages that sensibility by offering a range of establishments that have been selected through a rigorous vetting process, one that seeks to provide diners with a culinary tour of Fairfield County. The restaurants that are featured are off the beaten path in the best way possible, with each one extending to diners a tantalizing experience for the taste buds. Diners can download the new accompanying validation app, bring it to each featured restaurant and receive a free companion entrée with the purchase of the first entrée. Each book offers 12 restaurants that are carefully selected to reflect the wide-ranging cuisine that Fairfield County is known for. Priced at $53, this guide easily pays for itself within a few visits. 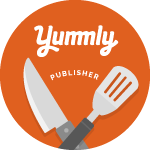 While the value of the guide is certainly a draw, diners are more likely to cite the introduction of restaurants that are new to them as their most cherished aspect of the book. Not only are the menu items diverse and unique, but there are also often other special highlights that make the establishments stand out, from stunning venues that incorporate 180-year old reclaimed wood in their décor, to murals that feature root vegetables and impressive local art. The food and beverage offerings are equally unique, from drinks that call to mind a specific region of the world, to dishes that rely solely on locally-sourced products. The descriptions of selected menu items are accompanied by pictures that evoke the true essence of each restaurant, prompting diners to schedule a visit as soon as possible. Fortunately, there’s something for everyone, at different price points and varying levels of formality, appropriate for the entire family or for a quiet date for two. One exciting new feature of the guide this year is the inclusion of an app that allows all validation to take place via the app. This will make it easier for both customers as well as restaurants to keep track of the status of their check-ins to individual restaurants. 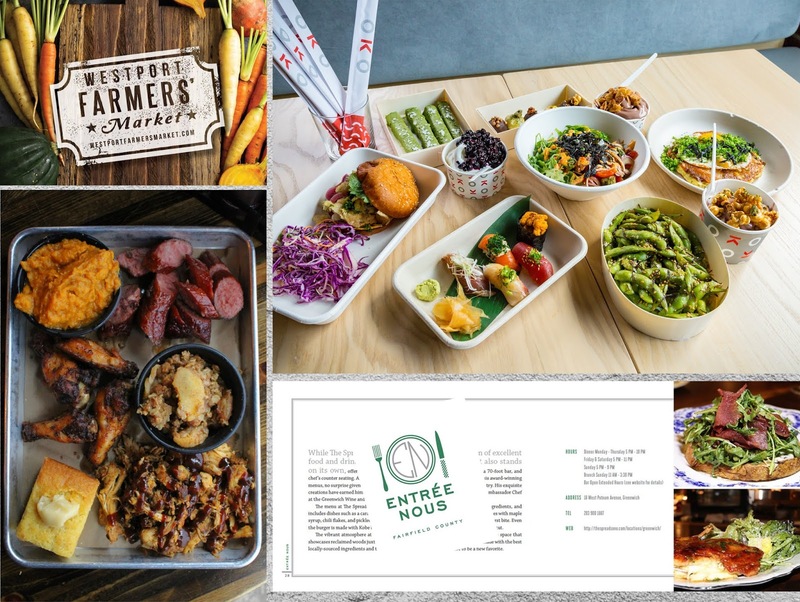 The restaurants featured in the Entrée Nous Fairfield County 2019 edition include: Match Burger Lobster (Westport), Bailey’s Backyard (Ridgefield), Saltwater Sono (Norwalk), Baldanza (in the location formerly occupied by One29 in New Canaan), Taproot (Bethel), Craft 14 (Wilton), Scena (Darien), Harlan Haus (Bridgeport), Basso Cafe (Norwalk), Noir Stamford (Stamford), The Spread (Greenwich), and Bianco Rosso (Trumbull). The guides are valid from December 1, 2018 through December 31, 2019. Visit www.entreenous.net for additional information. 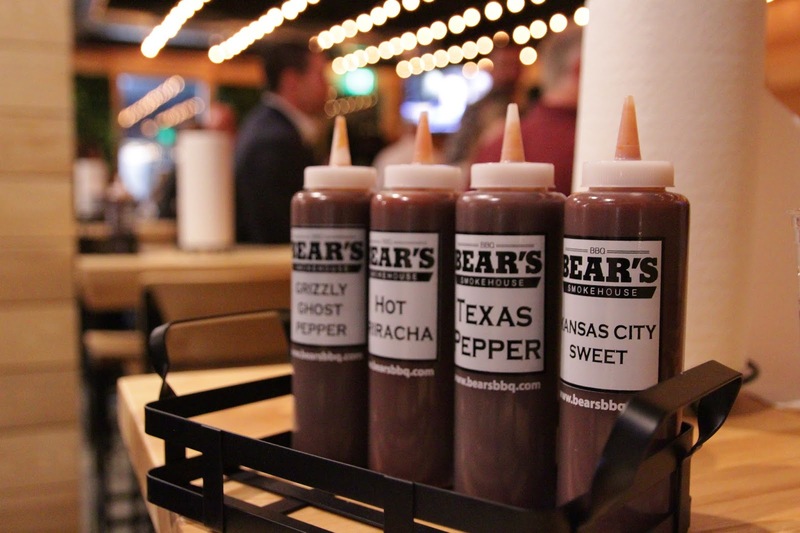 Bear’s Restaurant Group, which includes Bear’s Smokehouse BBQ in Windsor, Hartford, and South Windsor, Blind Pig Pizza in Hartford and Chango Rosa in Hartford, has officially opened its first location on the Connecticut shoreline. “The Stack,” featuring Bear’s Smokehouse BBQ, a brewery and Biergarten, is now open at District, the revitalized 9-acre technology and innovation campus at 470 James Street in New Haven, formerly the site of the CT Transit bus garage. The food menu at The Stack features the brand’s celebrated barbeque favorites, smoked in the Kansas-City style that McDonald enjoyed growing up in Kansas City, Missouri, including Baby Back Ribs, Pulled Pork, Pulled Chicken, Kielbasa, Turkey, Texas Sausage, Brisket and Burnt Ends served as a Sandwich, Entrée or Combo Plate. Other favorites served with a choice of smoked meat include Paw Paw’s Poutine (hand-cut fries smothered with cheese), Bear Bowl (cornbread topped with BBQ beans) and Super Spud (baked potato topped with mac + cheese, sour cream, bacon, red onion and cheese), as well as appetizers (including Moink Balls, bacon-wrapped meatballs), salads, classic side dishes and desserts. Family meals and meat by the pound are also available, as well as a Cub Meal for younger barbeque fans. The menu also includes items inspired by the Biergarten featuring local cheeses, sausages, and breads. 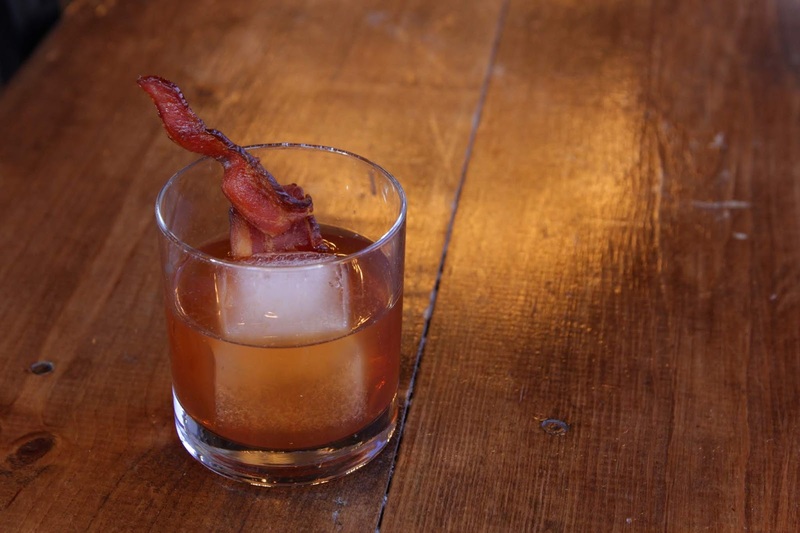 The beverage program offers easy-to-drink beers, BBQ-infused cocktails, and wines on draft. The bar features a combination of local and German Lagers, Pilsners and lighter Ales in cans and on draft. When the Brewery opens later this year, they will also offer five draft lines of house beers, in addition to selling the house-brews in cans. Creative cocktails include the Smoke Stack Manhattan (Brisket Fat-Washed Old Forester Bourbon, Smoked Sweet Vermouth, Angostura Bitters, Smoked Maraschino Cherries), Bacon Maple Old-Fashioned (Bacon Fat-Washed Pinhook Rye Whiskey, Maple Syrup, Black Walnut and Angostura Bitters), Stack Fall Sangria (Cabernet Red Wine, Apple Brandy, Citrus Vodka, Allspice, Lemon, Bubbly) and All About Our Coco Stout (Old Forester Bourbon, Stillhouse Coconut Whiskey, Black Hog Coffee Milk Stout, Licor 43, Simple Syrup). The 6,700 square feet restaurant has indoor seating for 200; the 6,000 square foot Biergarten, which will be partially covered and house fire pits and heaters to make it a year-round destination, will add an additional 250 seats. The Stack is open seven days a week: Sunday-Wednesday (11am-9pm) and Thursday-Saturday (11am-10pm). 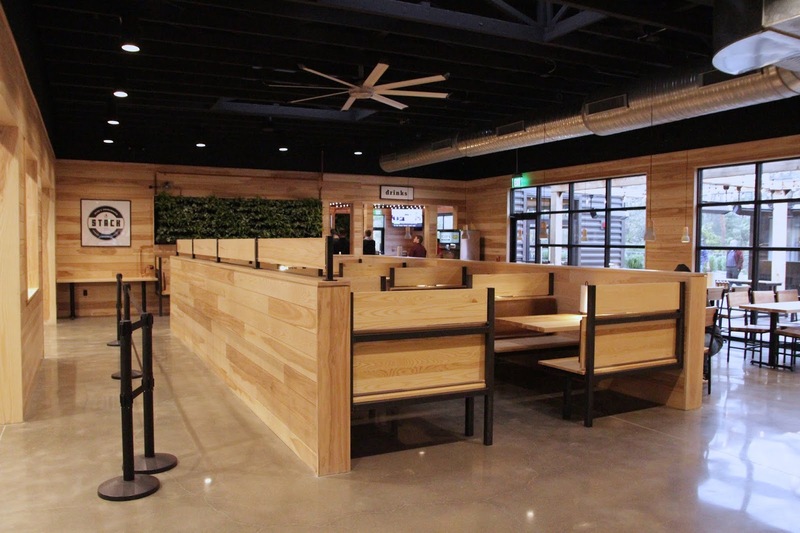 The restaurant also offers take-out, catering, food truck, and on-site event options. For more information, visit www.bearsrg.com or call (203) 350-9060. 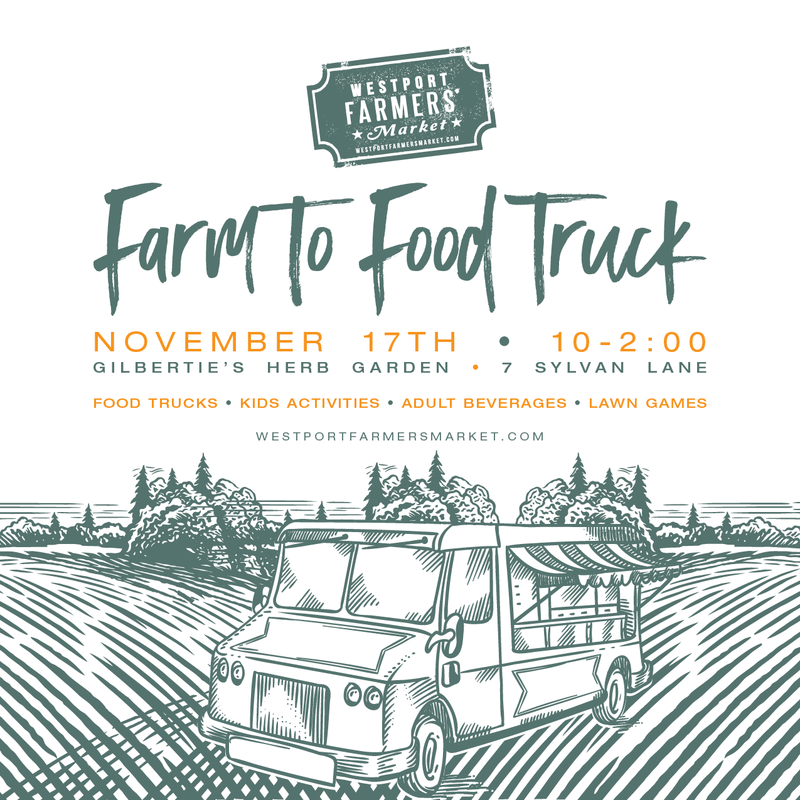 The Westport Farmers’ Market invites friends and families to the biggest opening-day market party of the year on Saturday, November 17th from 10am to 2pm at Gilbertie’s Herbs and Garden Center, 7 Sylvan Labe, Westport. There will be lawn games, pumpkin bowling, and fairy house-making to celebrate the transition from a successful summer market to the beginning of the indoor winter market. Dough Girls, Knot Norm's, Happa and Melt Mobile food trucks will set up outside the garden center for adults and children alike, while adult beverages from local breweries and non-alcoholic craft brew from one of our newest vendors, Athletic Brewing Company, will flow. The party will feature live music, a giving tree, and a special give away so you’ll want to get there early and stay all day. The Westport Farmers Market is committed to providing fresh, local, healthy and seasonal food. We aspire to create a fun, safe and healthy community environment for education and socialization. Our mission is to increase awareness, knowledge, and support for local producers focused on sustainable and healthy growing practices. The Westport Farmers’ Market receives philanthropic support from Boxcar Cantina; Cohen and Wolf; Club Pilates Westport; CTBites; CTFM; Doc’s Maple; Eileen Fisher; Farah’s Farm; Fleishers; Gilbertie’s Herbs & Garden Center; Moffly Media; Newman’s Own Foundation; Sugar + Olives; Westport Sunrise Rotary; Terrain; Town of Westport; Waddell + Reed; Wave Hill Breads; The Whelk; Whole Foods Westport. For more information, visit www.westportfarmersmarket.com. OKO, Chef Brian Lewis’ latest restaurant offering Japanese inspired cuisine in the historic Vigilant Hose Company Firehouse at 6 Wilton Road in Westport, is launching weekday lunch service and to-go options on Wednesday, November 7. 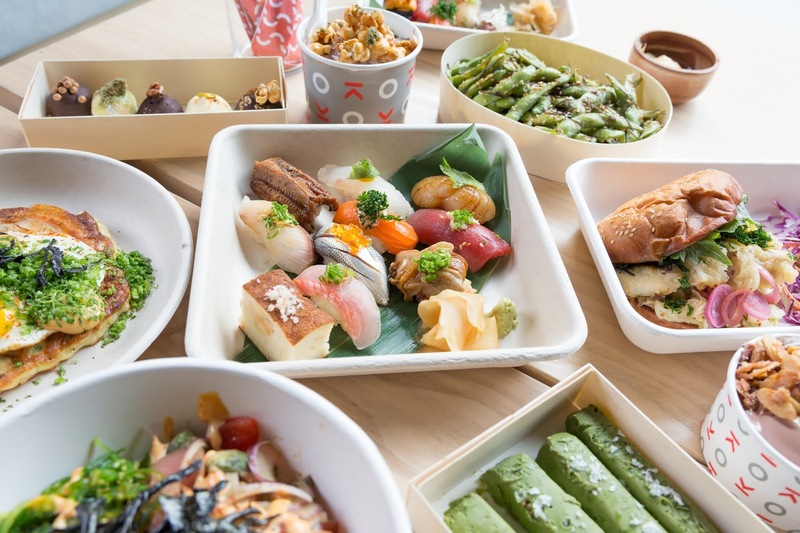 The restaurant, which opened in April 2018, showcases Chef Brian Lewis’ innovative take on traditional Japanese cuisine and sushi, in a lively and charming atmosphere. Lunch will be available Wednesday – Friday from 11:30am-2:30pm and will feature a daily lunch-specific menu for this new service. Options will include Hand Rolls, Bento Boxes, Nigiri Sushi meals featuring 5x pieces of Nigiri Sushi along with miso soup and a salad option, Sashimi meals featuring Chirashi Sushi, Sashimi Moriawase or Spicy Tuna Sashimi OKOpoke along with miso soup and a salad option, as well as favorites from the dinner menu such as gluten-free vegetable tempura, OKOnomiyaki, Pastramen, King Crab Gyoza, Edamame and multiple salad options. Kids Bento Boxes will also be introduced, offering Teriyaki Chicken, Miso Ora King Salmon or Vegetable Soba Noodles, served with miso soup, rice, vegetable tempura, and a soft serve cone or fruit cocktail. The beverage menu will feature creative, non-alcoholic drinks that complement the lunch-specific food options, such as Refresh (cucumber, sudachi, mint), Revive (pickled ginger, turmeric, cayenne, lemon) and Rejuvenate (grapefruit, agave, serrano). The full beverage program, featuring hot and iced teas, sake, wine, beer,& and cocktails, will also be available. 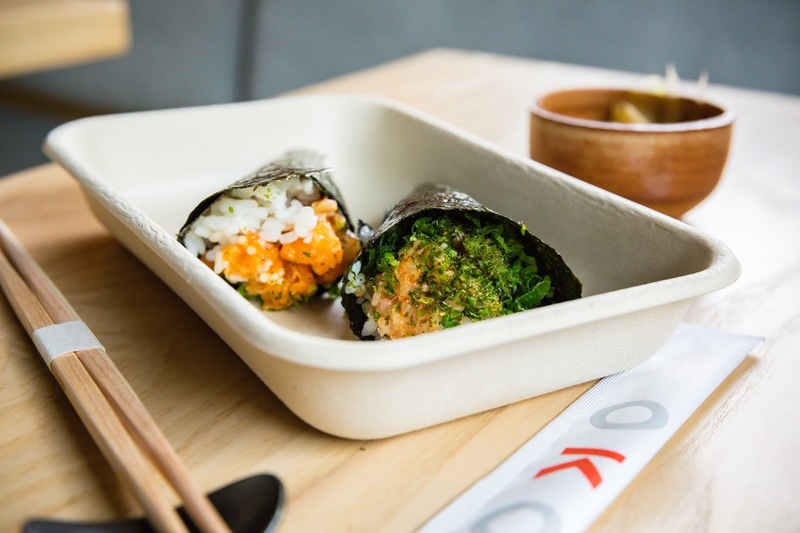 In addition to lunch service, OKO will launch a to-go option, offering online ordering of its full lunch or dinner menu directly through its website – www.okokitchen.com – with curbside pick-up. OKO accepts reservations for lunch and dinner via OpenTable.com, or by contacting the restaurant at 203-557-8404.